Spousal support is available to both married and common-law partners. Spousal Support Advisory Guidelines provide a starting point to help a judge determine spousal support amounts. But judges may also look at the assets and income of each spouse, the length of the marriage, the role each spouse played in the marriage and parenting the children, and any prior agreements they made regarding support, among other considerations. Your marriage or relationship was also a financial partnership. The purpose of spousal support is to provide an opportunity for the spouse earning less to become financially self-sufficient. While the law expects adults to be self-sufficient, we can help you navigate what the law says you are entitled to have, as well as your responsibilities. Canada’s no-fault divorce law means that the reason a marriage ends does not affect spousal support obligations. If asked, the court may require one spouse to pay support to the other, either as a lump sum or on a regular, ongoing basis. Spousal support is nearly always paid by the partner with higher income when there is a large disparity between the partners’ respective incomes, regardless of gender. Canadian law expects adults to be self-sufficient so one purpose of spousal support is to allow a lower-earning spouse to do this. But the law doesn’t allow support payments to be used as “punishment.” So, for example, simply because a marriage ends due to one spouse being unfaithful does not mean that the other spouse is entitled to additional money or to take an unfair share of assets from the marriage. Instead, typically the purpose of support payments is to recognize the contribution of a stay-at-home partner to the relationship, to relieve financial hardship after divorce, to offset a financial disadvantage caused by the end of the relationship, or to help a spouse secure an education or skills enhancement that will lead to self-sufficiency. Some parents work out a child support agreement on their own but even then, an experienced child support lawyer will help you navigate the Child Support Guidelines. Even if you are on good terms with your former spouse or partner, it is important to have a qualified child support lawyer review any agreements that you want to make. Child support allows the other parent to contribute to the support of dependent children. Our skilled child support lawyers will help determine who must pay child support, and how much and for how long the payments will continue. The agreement or Court Order must be clear and fair so it can be enforced by the Family Responsibility Office (FRO). 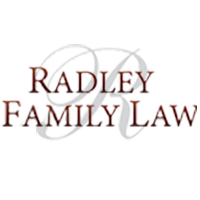 We focus extra attention on child support because at Rachel Radley Family Law, family is important to you and me. Because Family is Important to You and Me. Rachel Radley is a family lawyer specializing on Prenuptial Agreement, Marriage Agreement, Cohabitation Agreement, Divorce, Division of Property, Visitation Rights, Child Support, Spousal Support, Parenting Plans, Restraining and Exclusive Possession Orders, and other Family Law issues.Serving Mississauga, Brampton, Woodbridge, Richmond Hill, Vaughan, Maple, York Region, Markham, Newmarket, Toronto and nearby areas. Are CPP Credits Divided Between My Spouse and I on Divorce? How Does Custody of Pets Work in a Divorce? What Does The Court Require To Make A Preservation Order? Free Consultation Let Us Help You. You Don't Need To Go Through This Alone.